Alright so right now I'm taking suggestions for new areas for the current lands! You can submit as many lands as you want, but only the top 16 areas will be added (2 for each claimed land, 2 for the Savannah, and 2 for Gerezani Prison). The contest will be open to entries until 5/17 with the winning areas being picked on 6/2. Sound interested? Fill out this form! Location: The Beyond is located below the Coldlands and nearby the Desertlands. Description: The Beyond is harsh wilderness of short summers and violent winters. There is a long river that splits the region in two. North-east in the Beyond is a ring of constant erupting volcanoes in which the pride keeps vigilant watch. Location: The cave is located in the Outermost. Description: The Cave Before Time is a cave with many paintings, with the painting of the Great Lion Spirit on the ceiling. The paintings show the times of the Long Cold, the first Beyonder pride being led to the Beyond, and many other spiritual or historical events of significance. Many animals come here and gaze at the murals, long forgotten as to who created them but still holds awe. Location: The Outermost is an area Northwest of the Beyond. Description: It is cold here even in early spring, with frost still on the trees. There are also large stretches of barren ground covered in sweet grasses that the various herds eat. It is the spring grounds for Forest Elephants and home to "Outclanners", savage lions without a pride; Outclanners must be wary for the border between the Outermost and the Beyond is kept guarded by the "Blood Watch", a group of selected lions who live by the border whose job is to keep Outclanners out of the Beyond. If any Outclanners dare to cross the border, they are immediately killed or chased out. Location: "The Ring" is an area in the north-eastern part of the Beyond. Description: It is a chain made of five volcanoes, in which lions of the Sacred Watch live, guarding the volcanoes from those who wish to disturb them. It carries great reverence to all in the Beyond and great ambition, good or ill, to lions who want to join the Sacred Watch. What they hold sacred and guard are specific olive green tinted rocks that spew from the lava onto the ground, some animals regard it as having magical properties, why some lions in the Beyond bear green eyes (others do not, claiming it is just another valuable commodity). Description: In-between the Sunset Valley and the Ice Fields lays a stretch of land that is the neutral zone of the Coldlands. Few animals venture here due to its position near the Ice Fields that they dare not cross, but those who do find a field of snow white flowers that make it appear as if it is scattered with sugar. The mixture of the green grass along with the white flowers makes it a beautiful land that no blood will ever be shed in. Description: The largest lake in all of Africa, which, according to the shamans, never dried up in 100 years. It is located in the north of the savanna, 5 kilometers away from the eastern border of the Shadowlands. All animals gather here to drink and bathe. A ridge hangs on the eastern bank, on top of it is a small pool of pure water - a rallying ground for all the shamans. Description: Also known as the Valley of the Moon, it is a large area of the jungle so named because of its vast crescent shaped meadow. It is surrounded on three sides by rolling hills covered in lush tropical vegetation, and the sound of birds creates a constant symphony. The focal point of the area is a cascading waterfall called Emerald Falls because of the moss that grows beneath the cool liquid, which feeds into the Maji River below. Description: Above Mwezi Meadow lies a wide but verdant pass between the taller mountains beyond. During the war, the enemy pride was unable to traverse the range. The strategic location of the pass made it possible for the Lowlanders to defend their territory. It is the location of the last battle of the war, where victory was obtained by the jungle pride at long last. The lands beyond the jungle were once claimed by the opposing lions, but recent wildfires have destroyed much of the landscape beyond the pass. Description: A favorite hunting spot for generations, Zingela is a wide expanse of open plain with golden grass as high as a lion's shoulder. The lionesses of the pride have better luck finding their prey here than in most areas, even as the herds seem to vanish from the Pridelands. Many of the females have learned to hunt in this area and it is cherished by the hunting party. Description: Kube is the secondary source of water for the Pridelanders, because it is a further distance from Pride Rock than the water hole. At some areas, the river is wide across, but at other sections it is only a trickle. Over time, the river has sliced a deep ravine into the earth in some places, which serves as a natural border to the west. Occasionally, fallen trees become jammed in the river, blocking the flow of the water until the dam bursts from the pressure. Description: Comprising much of the savannah is a wide plain, with sparse vegetation and, as the name suggests, grass as far as the eye can see. It is the preferred hunting destination of many rogues, since no pride claims the territory. Many rogues choose to hunt alone, but others have formed alliances in order to take down the prey that migrates through the area in search of water. Description: Beyond the towering termite mounds is a low field where ugly, twisting shrubs and herbs grow, despite the lack of water in the area. The herbs and roots of some plants here are said to have medicinal properties, while others are deadly poisonous. Animal shamans and healers travel to the area to gather plants that only grow in the field, and the place is said to be sacred. Status: Claimed by the Pridelanders/Lowlanders/Outlanders (Mambaziwa) and Coldlanders/Shadowlanders (Usafi). Description: A large lake, this land is the only place where water is never completely absent. However, it's at the northern edge of the Shadowlands, near the Coldlands and therefore, the water is freezing. Only the lions could handle such freezing waters. Lake Mambaziwa, on the other hand, is a paradise for cold-blooded reptiles, safe from the rule of Scar. Mambaziwa is located at the southwestern end of the Pridelands-Desertlands-Lowlands border area, and the lake extends into each prides territory. The Desertlanders often go to their end of the lake for ritualistic ceremonies, such as crowning new Kings and Queens, as well as other such things. Description: Kitapo is the surface trace of an earthquake fault. The area is still seismically active. The fault is responsible for the catastrophic earthquakes that occur in the region periodically. It has been generations since the last large tremor, but in this place, light temblors are often felt – the gradual shifting of earth as the plates shift, creating jagged foothills that line the northern stretches of the Outlands. Called simply Kitapo, a word that means "trembling," cubs are often fearful of the place, and it can be hazardous. Rockslides are common. Description:A fresh-water spring that bubbles up from the ground, hidden by a mask of ferns that grow around it. Unfortunately, it is an unreliable source of water for the pride. Most often, it is nothing but a wet patch of mud, but sporadically, and for no apparent reason, it will burst to life and clean water gushes forth from sources unseen. The desert pride considers the place to be of vital importance, and the occasional offering of fresh water is seen as a gift from their ancestors. Description: A giant slab of sandstone that has emerged from the dunes due to ancient earthquake activity. Crumbled rock and dead weeds litter the weathered surface of the plateau, which has endured countless years of harsh desert winds. From here, one can see for many miles, making it invaluable to the defense of the dry kingdom. 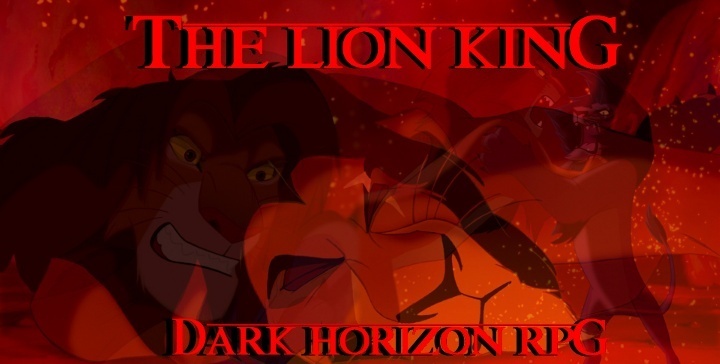 Description: Once within the Pridelands' borders, it now cuts through the Shadowlands and is part of their territory, an arrangement decided during Mufasa's reign. Due to unfavorable conditions, it is now mostly a dry riverbed that floods during heavy rains. Dead old trees line the banks of the wide, shallow bed. It is hoped that in better days, the river will once again flow full and life will return to the shadowed kingdom. Description: A granite outcropping that litters a wide, grassy field, the kopje is a favorite place for lions to laze and watch for passing prey. An acacia tree shades half of the rocks, while the sunny side is ideal for soaking up the sun. 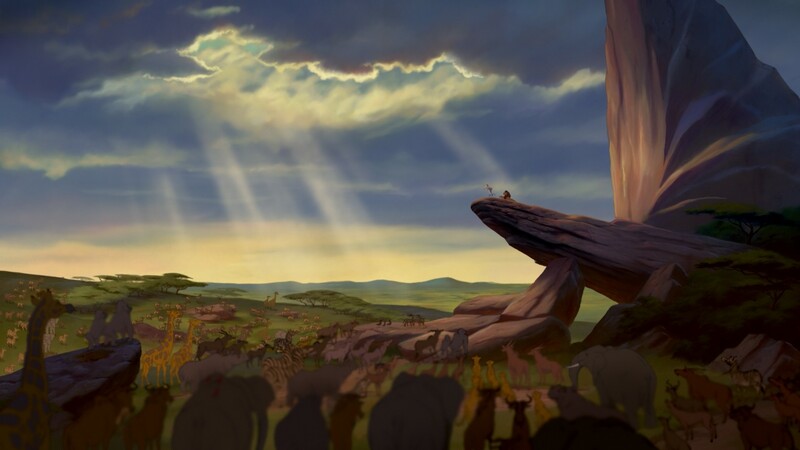 Despite the shadows that engulf the kingdom, it is a bright place of relaxation for the pride that inhabits the lands. Due to only receiving 16 entries total, all areas will be added in. Any new area can now be applied for, including new lands (as in places like the Lowlands) provided you give at least 4 new sub areas in the lands.